Worldwide prepaid SIM cards are the best ways to travel affordable and enjoy hassle-free mobile connectivity without being worried about the hefty roaming charges. Though you can buy any of worldwide prepaid SIM cards in the market, only a few can be trusted when it comes to reliable, affordable, and scalable mobile and wireless service. Are you afraid of travelling abroad due to the rising roaming charges? Are you looking for ideal SIM cards that can facilitate you unlimited communication data to talk and text? 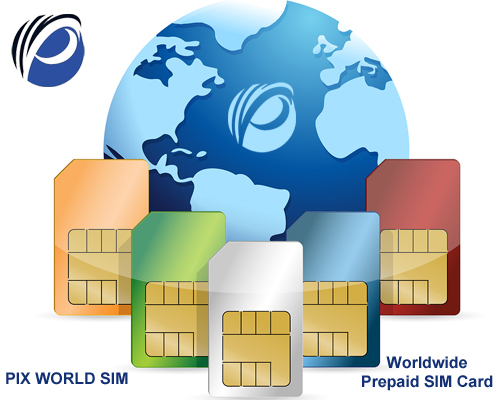 If so, then look nowhere but to buy any of the worldwide prepaid SIM cards from Pix Wireless. It allows you to enjoy sending and receiving SMS texts, and/or access data on the worldwide web. Being prepaid by nature, it doesn’t ask you to sign any contract or agreement. It is an e-SIM that works online but offers you the features and functionalities that you get with the actual world travel SIM card from Pix Wireless. Also known as virtual SIM card, the SIM card works virtually unlike the Pix World, but always keeps you connected to all your friends and family, anywhere, anytime. However, before you jump to buy any of these SIM cards, it will be wise to know about the superb set of features you can enjoy while traveling and staying abroad in an alien land. Are you a travel bug, always searching for a new land to travel and explore? Why not travel to Dubai this time. Dubai is one of the largest cities in the United Arab Emirates. It boasts of offering you everything you require for a dream vacation. The city is not only known for its high rise “Burj Khalifa,” but also for a number of beautiful places and beaches. Besides, you can also explore famous shopping areas, and a lot of attractive and attractions that will surely help in making your trip memorable and never forgetting. However, before you think of traveling to Dubai, you need to buy an international data SIM card. When you have a worldwide prepaid SIM card in your device, you can easily connect with your friends/family members while traveling and staying in a foreign land. With this SIM, you can enjoy visiting other countries and use the Internet, send/receive text messages, and make phone calls. Besides, with an ideal international prepaid SIM, you need not worry about the use of network and roaming fees. Best of all, a world prepaid SIM card gets you rid of the hassles of buying multiple local data SIM cards. But the question is which SIM card you should choose to connect with your loved ones in Dubai. The best answer for this question is Pix World, an inexpensive way to connect all your friends and family members. It allows you to pleasure in enjoying unlimited talking, texting, and browsing data at the minimum roaming charges in over 193 countries. It lets you collect miles & more award miles while using this worldwide prepaid SIM card. It allows you to enjoy chatting on apps such as Skype, WhatsApp, Facebook messenger, Viber, Line, We-chat. Prepaid by nature, the SIM comes in four prepaid form including Pix Virtual SIM, Pix World SIM, Pix Yellow, Pix Silver and allows you to control over costs and risks. Powered by the America’s largest 4G LTE networks, it facilitates superb wireless connectivity and wireless service. It does not require you to sign any contract and make payment for any extra hidden charges. To offer hassle-free coverage in more than 193 countries and over 200 cruise ships, the mobile carrier has joined hands with 150 plus global network operators. So, unlock the unlimited pleasure of communication data and connect with your loved ones anywhere, anytime in Dubai with the Pix’s Worldwide Prepaid SIM Card. Looking for a perfect prepaid world SIM card to enjoy completely rigmarole free wireless freedom? Want to enjoy fuss-free wireless and mobile connectivity solution while traveling and staying abroad? Want a prepaid SIM card that facilitates you unlimited talking, texting, surfing and browsing? Wish to go global with an international SIM card that will allow you to travel for affordable roaming rates? Go nowhere but to turn to Pix World! This is one of the leading telecom service providers in America, which is all set to revolutionize wireless freedom and redefine affordability with its prepaid leading telecom service provider allows you to enjoy unlimited talking, texting, surfing and browsing while traveling and staying abroad. When you travel to any country by inserting this unlocked SIM card in your devices – smartphones/tablets – not only does it facilitate you mobile connectivity, but also allows for outstanding wireless freedom within a fraction of roaming charges. But, do you know how this mobile carrier makes it all possible? No idea? Read on the blog! It allows you to enjoy unlimited communication data at minimal roaming charges in more than 193 countries, thanks to its collaboration with more than 150 mobile network operators. It allows you to earn reward points but you get to collect more miles when using this prepaid world SIM card in your qualified unlocked devices such as smartphones, tablets. Since by nature, the SIM is prepaid, it allows you to control over costs and risks. Moreover, being strengthened by the America’s largest 4G LTE networks, it keeps you connected to all your near and dear ones by allowing you to enjoy impeccable wireless service. Furthermore, at the time of buying this SIM card, you need to neither sign any contract, nor make payment for any extra or additional hidden charges, fees. 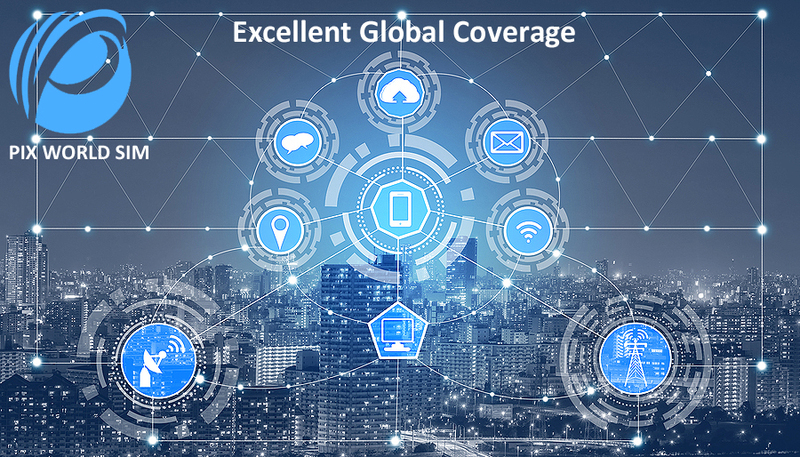 As discussed above, to allow you to enjoy rigmarole-free coverage in more than 193 countries and 200 cruise ships, the leading telecom service provider in America signed and set up a strong collaboration with 150 plus global network operators. How to activate Pix’s prepaid world SIM card on your device? Remember, Pix’s prepaid world SIM card comes free, but you do get to pay for the charges of activating services. Once you are through the above process, you will receive a confirmation SMS notification informing you about the successful activation of your prepaid world SIM card. But remember, every Pix’s SIM is pre-activated with the feature of PixChat global messaging service for one year. The Triple-SIM card has the capability to function with any unlocked devices such as smartphones and tablets. The airtime/credits of Pix’s Prepaid World SIM Card are offered for 1-year from your last recharge/top-up. Moreover, your prepaid SIM will remain “live” until the recharge/top up once a year. So, the Pix’s SIM card is your ideal recourse to travel abroad if you want to get rid of the connectivity hassles such as frequent call drops, undelivered messages, frequently interrupted data browsing, video calling, chatting and constant breakdowns. You may have many options to talk to your closed ones when you are in your home country. But this is quite reverse when it comes to talking while traveling and staying abroad. And if this is your first trip to any foreign country, it becomes quite tough to get any help as you both – the country you are visiting and you – are unknown to each other. Hence, before making up your mind to leave for any foreign country, it is advisable that you get world prepaid SIM card that can provide you with uninterrupted wireless service and mobile connectivity both while traveling and staying abroad. Now, the question is which world prepaid SIM card will best cater to your global wireless needs. 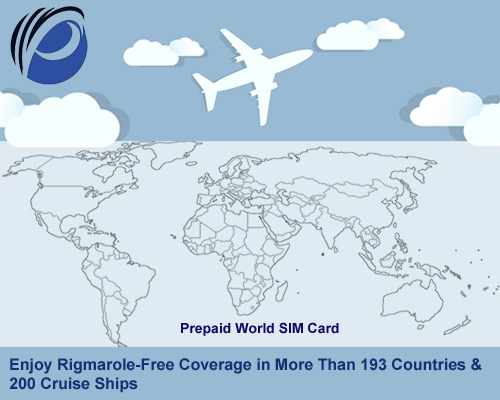 You can use this world travel SIM card to enjoy unlimited communication within an affordable global roaming cost in more than 193 countries and 200 plus cruise ships. Where other mobile carriers’ just believe in hoarding money from their customers as much as possible, Pix World with its prepaid world SIM card allows you to earn rewards on your covered miles. This means that the more miles you cover and collect the more rewards you obtain through the mobile carrier. As soon as you successfully activate this SIM card in your qualified unlocked device, you can control all sorts of risks and costs associated with it. Moreover, where other telecom service providers require you to sign and submit a lot of contacts, to buy this SIM, you need not do any such thing or formality. Since America’s largest 4G LTE networks empower the SIM, it continues to connect you anywhere, anytime. What’s more? Being teamed up with over 150 global network operators operating on 3G/4G network, the SIM keeps you connected in more than 193 countries and over 200 cruise ships. Furthermore, where you spend a lot of dime only to send a few words of messages to your closed ones, this SIM allows you to enjoy free messaging via Facebook Messenger, WhatsApp, Viber and more. 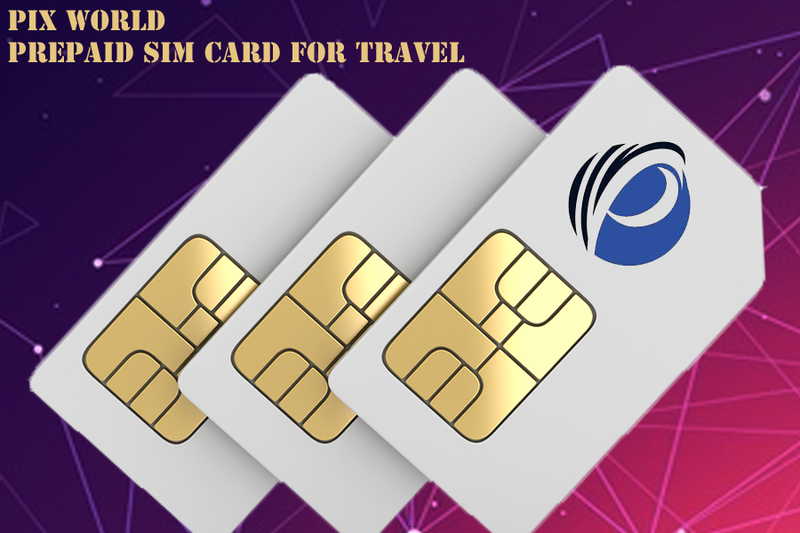 So, whether you want to go on an extended or short vocational trip abroad, or you plan to sail the 7 sea’s on your next cruise ship vacation, or look to do some advanced study, the world prepaid SIM card will be your ultimate solution for your wireless needs. When you are planning to travel abroad, you would never like to stay-off-line from your friends, family, and co-workers back home. That’s quite natural with a human being, but staying-on-line, while traveling and staying abroad, will, for sure, cost a lot of dimes if you don’t do sufficient research. And that’s exactly when you begin your search to find out an ideal wireless international calling plan that will be saving you big bucks. 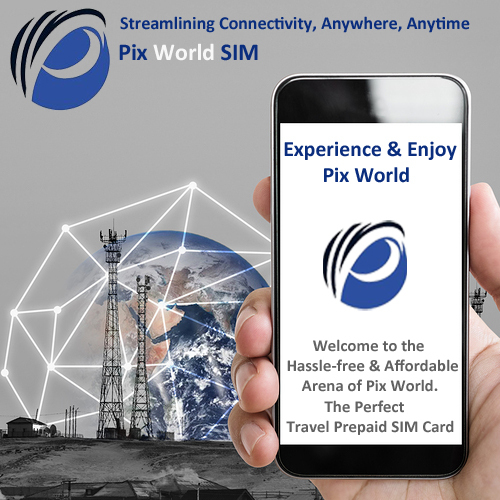 Welcome to the hassle-free and affordable arena of Pix World – the perfect travel prepaid SIM card, which has streamlined worldwide connectivity at unbeatable rates. When you have this travel prepaid SIM card in your own qualified unlocked devices (smartphones, tablets), staying connected to those who matter a lot to you becomes much easier and economical, irrespective of your whereabouts in the world. In the blog ahead, you will learn about the top benefits that you can enjoy and experience by getting Pix World’s SIM card. What can you expect from a SIM card that’s collaborated with over 150 network operators across the world? What can you expect from a wireless network that can cover more than 193 countries? What will you think when you come to know that there is a SIM card to allow you to stay in touch with all your closed ones in more than 200 cruises? You would definitely think it’s awesome. And that kind of awesomeness is provided by SIM solutions delivered by Pix World. By virtue of that only, Pix World streamlines worldwide mobile connectivity like never before. Are you a globetrotter who keeps visiting some or other country on a frequent basis but is fed up with rising phone bills? If so, you should enjoy and experience Pix World. This global travel prepaid SIM card makes worldwide coverage affordable. For real. Generally, the best telecom services are offered at a steep price – but certainly not this one. Pix World differs here, for it can save around 120 percent on your roaming charges. Yes, 120 percent! Now, that’s truly some serious savings alright and that’s really awesome. Most importantly, the travel prepaid SIM card even allows you to customize your prepaid plan based on your needs. This way, this mobile carrier allows you to keep in control all your telecom expenses quite like a boss. It’s never bad to be budget-friendly and offer impeccable global connectivity, freebies please the most. People say nothing comes free in this world. But, with this SIM card, you have got a lot of free lunches – and they are undoubtedly delicious. So, here’s a quick rundown on what you will be getting for free when you insert Pix World in your device. You can enjoy sending and receiving unlimited messages from Viber, WhatsApp, and Facebook Messenger. No matter where you are traveling or staying to in the world, if you own this SIM in your device, it will allow you to receive unlimited calls in more than 193 countries and over 200 cruises. Whether you are overseas or in your community, with this Travel Prepaid SIM Card, you can receive unlimited texts. So, when you want to buy an international telecom plan, just turn to buy Pix’s travel prepaid SIM card – for this will give world-class global coverage without hurting your pocketbook. Hefty roaming charges are truly aching when you don’t get what you were promised. If you are a frequent international traveler, you understand it much better than others do. This way of extorting customers and robbing them off their hard-earned money is not going to end soon. But if you decide to replace your exiting SIM card, it will help reduce the sticker shock. Which is that killer prepaid world SIM card? The best answer to this question is Pix’s USA Travel SIM Card, which has completely redefined the international mobile wireless connectivity with its USA travel SIM card. The universal SIM card is expressly designed for globetrotters going overseas on frequent basis for some or other purchase. Inserting this USA Travel SIM Card into your smartphone or tablet, you can enjoy unlimited talking, texting, surfing and browsing with your friends and family members. The USA travel SIM card works great on several fronts. For instant, it can cover more than 150 global network operators, over 193 countries, and over 200 cruise ships. The USA travel SIM card can also be used to make and receive calls to all your near and dear ones. At the same time, the SIM also allows you to send and receive SMS texts, and/or access data on the worldwide web. In all, this is one of the best solutions when it comes to traveling and staying in the US. The SIM seriously bangs your buck with superb coverage at the rates that certainly does not break your bank. But how does it make possible? As discussed above, where other mobile carries in the US confine their wireless connectivity to just a few countries, and charge heftily for delivering nothing but frequent call drops, constant disconnection, and repeated interruption during surfing or browsing, the Pix’s USA travel SIM card allows you to stay connected to all your friends and family members by delivering awesome coverage all the time. In order to deliver such stellar connectivity, Pix World has the widest networks of more than 150 operators. And the best thing about these networks is that they all work on speedy 3G and 4G networks. This way, by inserting this USA travel SIM card into your unlocked device, you unlock the best coverage. To be precise, it delivers coverage on both land as well as sea. So, when you connect to Pix’s expansive network, you are sure to get unmatched coverage all the time. Yes, when it comes to using USA travel SIM card and enjoying the exceptional network coverage, this saves you more than 120 percent of the global roaming cost. 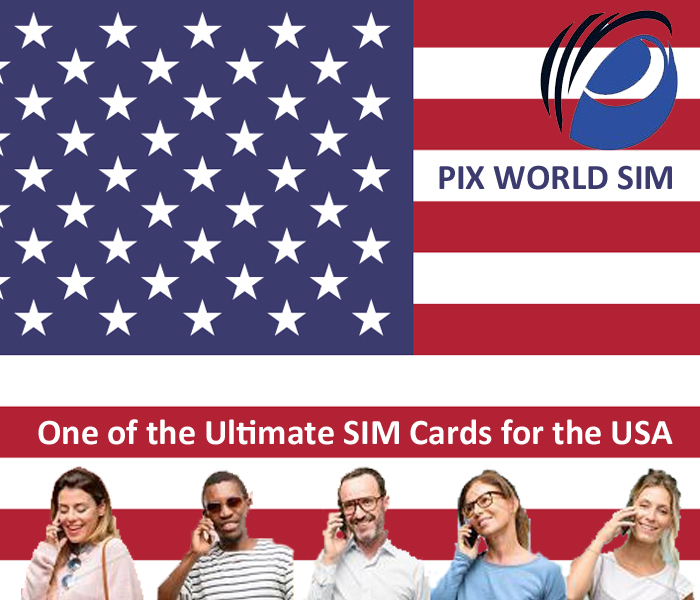 If you really want to manage international roaming while traveling abroad, the USA travel SIM card from Pix World is the best solution to go with and enjoy rigmarole free wireless connectivity at the most economical rates while traveling abroad. Pix World is delivering wireless freedom like never before. This wireless service provider is doing that by making wireless coverage super affordable. This way, Pix World has earned the trust of many international travelers across the globe. So, in this post, we’re going to explore why Pix World is one of the best World Prepaid SIM cards for your money. Pix World is counted among the best global wireless service providers. Why? Well, because it delivers best-in-class coverage. Its awesome connectivity can be experienced in more than 193 countries and over 220 cruise ships—just like a boss. Pix World delivers this sort of awesome coverage with the help of its solid network. This network includes more than 150 telecom operators—and each of them will work on high-speed 3G and 4G networks. This way, when you’re with Pix World, you won’t experience call drops or patchy coverage. This wireless service provider even ensures that its sensational coverage is all yours at rates that won’t ever cost a small fortune. Long story short, Pix World makes sure that you’re connected with your world without costing you the world. To be precise, when you’re connected with Pix World, you’ll be allowed to pick from a number of wireless plans. And if you stick to a single plan, then you’ll be able to save more than 120 percent of the roaming cost. So, what’re you waiting for, traveler? If you want to stay connected with your world without paying a king’s ransom, then you can do just that with the help of Pix World’s wireless plans. And in case you don’t fully understand which plan will be best for you, get in touch with the service provider’s sales team. It’ll be able to guide you in making the best possible purchasing decision. Whenever you’re traveling to the USA, you’ll want to find some innovative ways for staying connected with your people back home. But making these innovative ways budget-friendly is easier said than done. So, long story short, staying connected with your people while you’re in the USA is possible—but doing that on a budget is no walk in the park. Not by a wide margin. Which is why, you need to find not just any solution but the best SIM cards for the USA. That’s precisely where Pix World comes into play. Pix World has served to USA travelers for some time, now. And this global wireless provider has managed to win the trust of a lot of travelers in the States. How? Well, because this service provider offers top-of-the-line coverage across the length and breadth of the USA. Considering the fact that the USA is huge, finding robust coverage across the country from the same service provider is a tough task. But Pix World delivers sensational coverage whether you’re in the East Coast or the West Coast. Now, being one of the most trusted providers of SIM solutions in the USA means that the company has to stick to affordability as well. And that’s precisely what Pix World is doing. It offers a range of wireless plans to pick from—and each of these plans is completely affordable. So, what’re you waiting for? If you want to stay connected with your world while you’re in the USA, then you now know which international SIM card to pick. Just in case you’ve got any troubles picking the right Pix World plan for yourself, get in touch with the company’s sales team immediately. It’ll always be happy to help. Whenever you travel abroad, you think of just one thing. It’s about staying in touch with your loved ones—with the people who matter the most to you. But is it really possible to find such a SIM card? Well, yes it’s possible. 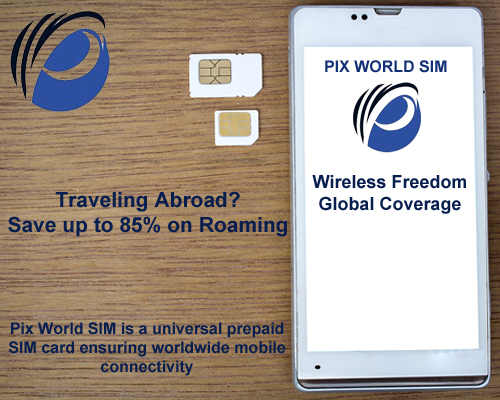 All you need to do is just get a SIM card from Pix World—and you’re all set to change the way you manage global roaming. So, do you want to get wireless freedom along with affordability? Well, then, you need a wireless plan from Pix World. It’s because this company offers SIM cards that are affordable and that deliver coverage in more than 193 countries and over 220 cruise ships. But how has this coverage become real? Well, Pix World offers sensational coverage because of its robust network. This network comprises more than 150 telecom operators. What’s more? Each of these operators works on high-speed 3G and 4G networks. This way, Pix World makes sure that its call quality and coverage never suffer. No matter what. Now this coverage is really awesome, no doubt. But at what price can be it yours? So, the thing is that Pix World wants every international traveler to experience wireless freedom. Because of this, the company gives a variety of plans to choose from. And if you stick to any one of these plans, you’ll be able to save more than 120 percent of your global roaming cost. That’s why Pix World is one of the most affordable universal prepaid SIM cards for travelers. So what’s the wait for, huh? If you’re going to travel anywhere in the world, you’ll need to manage global roaming like a boss. And when it comes to managing global roaming, it comes down to Pix World. That’s because this company has a huge range of wireless plans that are priced affordably. As an international traveler, you’ve got to manage a lot of things. Among all these things, the most important and highly deprioritized one is global roaming. Most people don’t really give international roaming the importance it really deserves. This common behavior found in every traveler eventually results in any of these two things. Either you pay through the nose because you end up taking your native network abroad. Or you simply choose to not stay connected with your folks. It’s as simple and bad as that. So, the solution to this problem is a world prepaid SIM card. Such a card is actually designed for globetrotters like you. However, since there are a lot of international prepaid SIM cards available on the market right now, finding the right one becomes quite challenging. 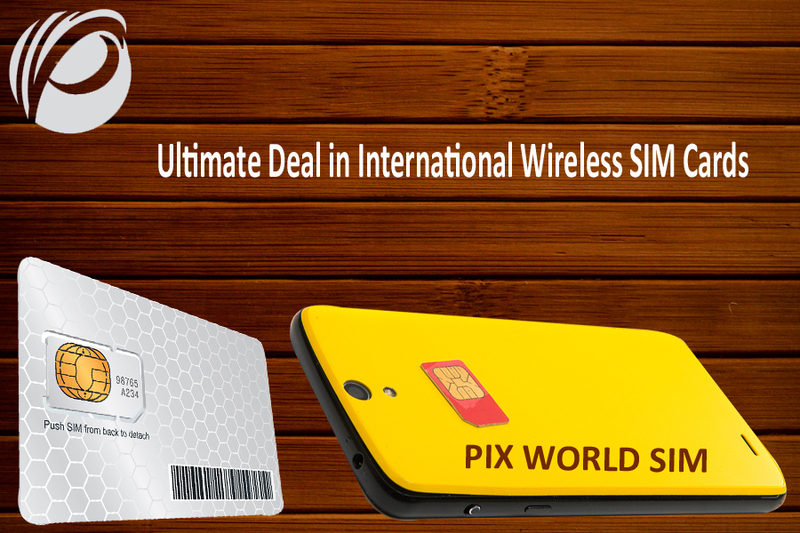 Talking about the best SIM card, we can’t really fail to mention the sensational value provided by Pix World. 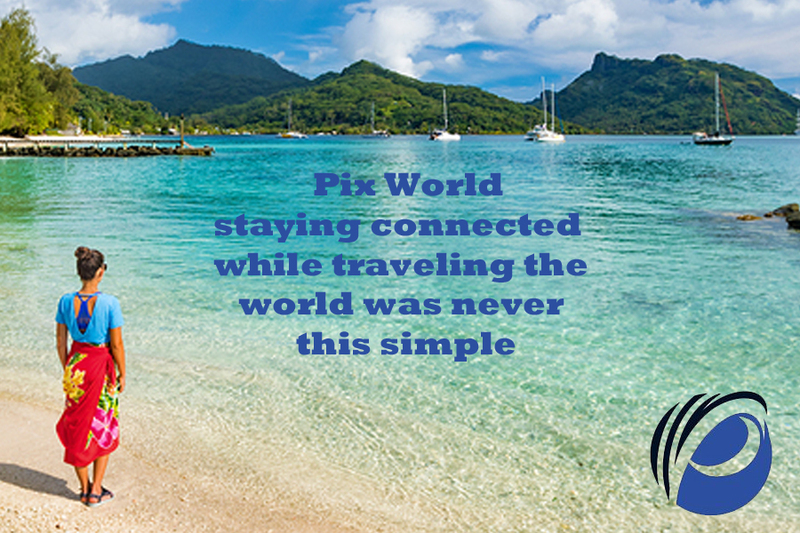 Pix World makes sure that you will stay connected with your world anytime, anyplace. To be precise, Pix World will let you stay connected with your world in more than 193 countries and over 220 cruise ships. So, basically, when you insert a SIM card from Pix World inside your unlocked device, you’ll stay connected on both land and sea. Isn’t that amazing? Of course, it is. Now the reason for this rock-solid connectivity is Pix World’s amazing network. This network includes more than 150 telecom operators. These operators work on blazingly fast 3G and 4G networks. This way, when you’ve got Pix World in your corner, you’ll never experience patchy coverage. No matter what. But at what price will this coverage be yours? Now, that’s definitely a million-dollar question. Well, to be accurate, Pix World wants its wireless freedom to be experienced by everyone. That’s why it’s got affordable wireless plans. So, if you stick to a single wireless plan from Pix World, you’ll save over 120 percent of your global roaming cost. That’s too much money, for sure. So, what’s the delay? If you’re traveling abroad anytime soon, then let Pix World be your sidekick in managing global roaming.